CLEVELAND – The Cavaliers have acquired guards Nik Stauskas and Wade Baldwin IV and two future second round draft picks from the Portland Trail Blazers in exchange for guard Rodney Hood, Cavaliers General Manager Koby Altman announced today from Cleveland Clinic Courts. The two draft picks that Cleveland is receiving in the deal are Portland’s own 2021 and 2023 second round picks. Stauskas (6-6, 205) has made 44 appearances for Portland this season, averaging 6.1 points in 15.3 minutes per game. He has scored in double figures on eight occasions, which includes a career-high tying 24 points (7-11 FG, 5-8 3FG, 5-5 FT) in 27 minutes against the Los Angeles Lakers on October 18. Over his five-year NBA career, Stauskas has played in 311 games (63 starts) for Sacramento, Philadelphia, Brooklyn and Portland while averaging 6.9 points and 2.1 rebounds in 20.3 minutes per contest. The Ontario, Canada native played collegiately at the University of Michigan and was the No. 8 overall pick by Sacramento in the 2014 NBA Draft. Baldwin (6-4, 200) has appeared in 16 games for the Trail Blazers this season, while also playing in six games with the Texas Legends of the NBA G League. With the Legends, Baldwin posted averages of 22.7 points, 5.2 rebounds, 3.5 assists and 2.3 steals in 32.9 minutes per game. The third-year guard out of Vanderbilt has played in 56 career NBA games with Memphis and Portland, averaging 3.1 points in 10.3 minutes per game. He was originally selected as the 17th overall pick by the Grizzlies during the 2016 NBA Draft. Hood (6-8, 206) played in 66 regular season games (56 starts) for Cleveland since being acquired by the Cavaliers on Feb. 8, 2018, averaging 11.7 points and 2.5 rebounds in 26.8 minutes per contest. He also appeared in 17 postseason games for Cleveland during the 2018 Playoffs. In a related move, the Cavaliers have released guard Kobi Simmons from his 10-day contract. 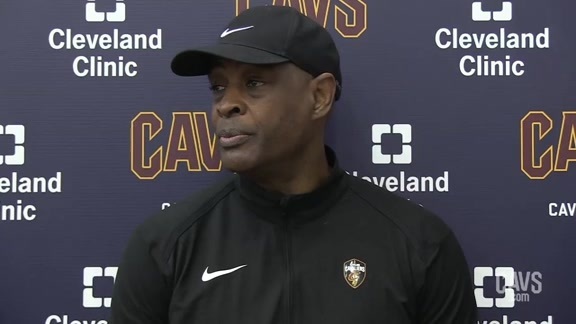 Cavaliers Head Coach Larry Drew talks about the recent trade following Monday's practice at Cleveland Clinic Courts. 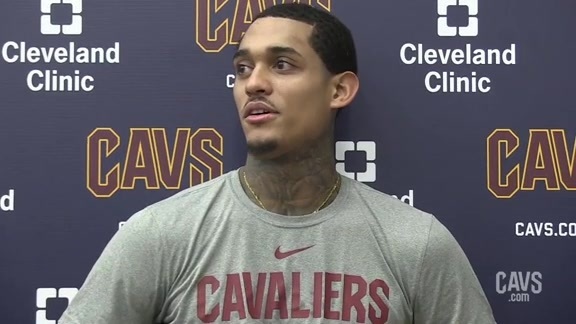 Cavaliers guard Jordan Clarkson spoke with the media following Monday's practice at Cleveland Clinic Courts.